The 16th Melt! festival returns to the giant industrial museum, Ferropolis, in the city of Gräfenhainichen, south east of Dessau, Germany.  The festival which happens from Friday 12th until Sunday 14th July 2013 features electronica dance music from pop and indie though to ambient beats and hop hop, spread across 6 floors with more than 80 live acts appearing over the weekend. Latest additions are Charli XCX, Blue Hawaii and Modeselektor/Diamond Version Soundsystem. Atoms For Peace (UK exclusive), The Knife, Azealia Banks, Churches, Disclosure, Jamie Jones, Flying Lotus, Alt-J, James Blake, Soulwax, Local Natives, Austra, Alt-J, Azealia Banks, Bambounou, Julio Bashmore, Barnt, Ben UFO, James Blake, Chvrches, Dan Deacon, Daughter, Marcel Dettmann, Disclosure, Django Django, DJ Koze, Eats Everything, Everything Everything, Ellen Allien, Fantastic Mr Fox, Flying Lotus, Function, Get Physical Special feat. Andhim, Catz 'N Dogz, M.A.N.D.Y., Smash TV (live), Wankelmut, Henrik Schwarz & Band, James Holden, Joy Orbison, Karenn, Kettcar, King Krule, Ben Klock, Laing, Christian Löffler, Modeselektor & Apparat (DJ-Set), Mount Kimbie, Miss Kittin (live), Mykki Blanco, The Knife, Oliver Koletzki, Markus Kavka, Owen Pallett, Purity Ring, Rudimental, SBTRKT (DJ-Set), Solomun, Swim Deep, The 1975, Todd Terje & Lindstrøm live, Otto Von Schirach, Tricky, James Murphy, DIIV, Sizarr, Simian Mobile Disco, Siriusmo, Aerea Negrot (live), Shinedoe, Camea, ABBY, Hans Unstern, Feine Sahne Fischfilet, Monika Kruse, Adana Twins, Motor City Drum Ensemble, London Grammar, Anja Schneider, Babyshambles, Maceo Plex, Owiny Sigoma Band, Karocel, Manamana, Ruen Brothers, and more. The doors open at 3pm every day with performances beginning at around 5pm and going on thru' the night, with the Sunday headliner expected to end just after 11pm. For the line-up details, as available please click here. For the last two years tickets have sold out in record time. Tickets were priced at 135.90 euros for a full weekend ticket this year, and have sold out again. The garbage deposit, started last year and is an effort to make the festival more environmentally friendly and keep the festival site clean. Festival attendees will get the garbage deposit back on returning a full garbage bag and the deposit chip (handed out with the wristband). You will only be able to camp at the festival site with a festival ticket! Festival visitors with a two-day ticket are still allowed to stay on the camp site for three days and they will also be able to visit the Sleepless floor on Sunday. The camping site opens on Thursday at 03:00pm, and closes on Tuesday at 01:00pm. Camping and parking is included in festival ticket price. An attraction of the festival is the actual location, Ferropolis, an open air museum of huge machines from the 20th Century. Some of the machines weigh up to 1980 tonnes and reach 30 metres high. From the A9 Berlin-Leipzig -> exit Dessau Ost -> B 185 to Oranienbaum -> in Oranienbaum right B 107 to Gräfenhainichen -> between Jüdenberg and Gräfenhainichen left to Ferropolis. By public transport: By train to Dessau central station, then by bus to Ferropolis.